First off, they're a thematic home run for anyone who's played SimCity, and even for those who haven't they tend to be very relatable. Of course you would have to plan around natural disasters if building a city! The relationship with Fire and Police Departments is also apparent, and those are a natural way for adjacency (and therefore placement) to matter, which makes the city grid more interesting. The different effects of the individual disaster tiles are also very thematic - when calculating penalties, all of them only count (i.e. cause damage to) building tiles, as that's what a city would largely be responsible for. 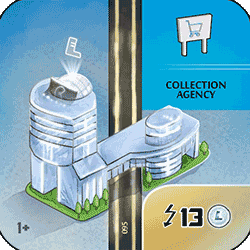 In addition, Crime Spree doesn't count Public tiles, as who's going to rob a government building or a power plant? Fire is unique in that it allows Resource tiles to be sacrificed, given that it's easy to imagine the Raw Goods burning away (particularly in the case of Wood or Oil!). Each of these differences will come into play in how best to prepare and deal with the individual disasters, giving each Generation of the game a different flavor. Without disasters in the game, there would be very little tension to how you build your city. 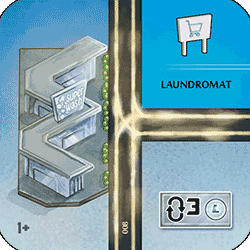 Residential strategies, for example, would be about blindly taking every Residential tile you see and fitting them together in whatever configuration comes together. But with disasters in play, the greedier (i.e. 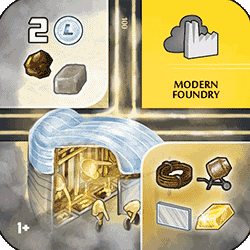 heavy Residential or to some extent heavy Industrial) strategies become much more interesting - do you take that Residential tile knowing that you won't be able to afford the Fire if it happens this turn? Do you let your neighborhood grow as quickly as possible in all directions, knowing that will make it harder to protect with Fire and Police Departments, or do you try and keep it contained to one area of the city? In addition, there are a variety of mitigation strategies available in the game that I'll discuss later - but discovering how to best execute these is a significant contributor to why the game has as much depth as it does, and why there are 13 people who have each completed over 100 games in the online prototype (not even counting solitaire or bot games!). Even once you've mastered these strategies you'll find that there are certain Cornerstone tiles that will tempt you into making risky plays once again, and sometimes you'll get away with them, and sometimes you won't. So why don't the disasters just happen automatically at the end of the generation or whatever? Well, if you play with the same group of players consistently, you can start to learn their tendencies as to how much they like playing disasters. Once you've seen the disaster tile for a given Generation, you can track it as it moves around the table, and weigh whether each person might want to take it (based on a combination of their proclivities and their own vulnerability to that disaster - with higher vulnerability making them more likely to pull the trigger). Relatedly, there are two ways in which disasters directly provide psychological tension for players who understand when they're currently vulnerable: 1. when a new Generation is starting and the packs are being dealt out (as you hope to open the disaster so that you can play it before anyone else) and 2. when you're knowingly leaving yourself vulnerable and hoping no one punishes you for it as the packs move around the table. 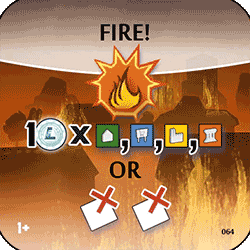 Granted, this requires knowing what the disaster for the current era will do without having it in front of you, so I do wish that the game had included some reference cards with that information - but in the meantime you can download a Disasters + Cornerstone Icons reference card that I've uploaded to BoardGameGeek. In 7 Wonders, when you can see that someone across the table is doing incredibly well, there's nothing you can do about it other than plead with the people next to them to take the tiles that their strategy desires (usually science). In NEOM, when someone is doing particularly well (usually as a result of a greedy strategy like heavy Residential), you can always hope to pick a disaster tile that takes them down a notch. That said, it was very important to me that the disasters in NEOM are non-targeted (similar to Attack cards in Dominion). When games have targeted attacks, discussions often devolve into multiple players trying to convince the table that they're not doing well, which I find tedious at best and downright annoying at worst (it especially bothers me that I can't help but engage in this as well, as it's the right play if you're trying to win - a particular game of Small World with my brother comes to mind!). Unsurprisingly, building around the tiles that specifically protect against disasters will greatly reduce your vulnerability. The trick here is that you'll have to arrange the rest of your city to maximize how many relevant tiles each Department can hit. 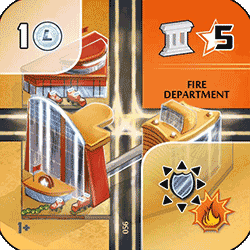 This means surrounding your Fire Departments with buildings of any type and, more importantly, your Police Departments with just Residential, Commercial, and Industrial tiles. That's sometimes easier said than done, however, so one effective technique can be to just focus your tiles of those types around your City Center, and then take advantage of the covering rules to place a Police Department on top of the City Center either late in the 2nd Generation or early in the 3rd. 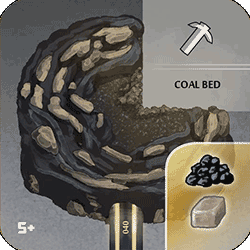 One aspect that makes Resource tiles much better than they might originally seem is that they aren't vulnerable to any of the three disasters, meaning that someone who invests heavily in them will have much more manageable penalties than someone who doesn't. In addition, other players are liable to buy the Raw Goods from you, which can add up even if the individual trades are only worth an L-Coin or two (and players are much more likely to be willing to shell out for the cheaper Raw Goods than they are for Goods from the more expensive tiers!). Finally, Public tiles are also notable in that they dodge Crime Spree, so a city focused around those (perhaps with Civic Center) will have a much easier time overall, even without Fire or Police Departments. 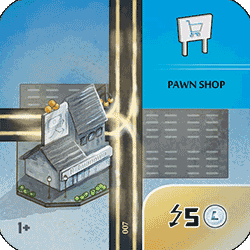 At first blush, a tile like Pawn Shop might seem significantly worse than other Commercial tiles like Laundromat - the former gives $5 immediately, but the latter will give $9 over the course of the game, equivalent to an extra 2 VPs. 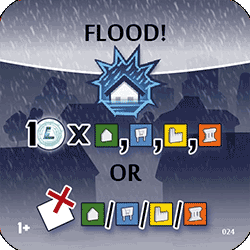 And without disasters, that would generally be true, but that's where the second option on each disaster tile comes in. Instead of paying money, you can always choose to sacrifice tiles, even if you have enough money on hand. And there's next to no drawback to sacrificing a tile like Pawn Shop that has already provided all of its value up front. So when you consider that a Flood might cost you $5 or $6, and you add those savings to Pawn Shop's immediate $5, it actually ends up providing more overall money than Laundromat in many situations. This can occasionally backfire, though, if no one plays the Flood in the first Generation and then you end up having to pay for your Pawn Shop when Fire and/or Crime Spree ends up happening. Your best option in that case is probably to sacrifice it to the Fire along with one of your Resource tiles (as unlike Flood or Crime Spree, Fire allows the sacrificing of any tile). Another interesting option, if it becomes clear that it's about to cost you additional money in a Crime Spree, is that you can always play another Commercial tile on top of it, thereby reducing your overall vulnerability. 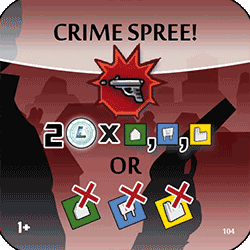 Crime Spree's alternative penalty is to sacrifice a Residential tile, a Commercial tile, and an Industrial tile. However, if you don't have one or more those tile types, you can ignore that portion of the penalty, making it a valid strategy to say, forego building any Residential tiles until after the Crime Spree occurs (which tends to be early in the Generation). 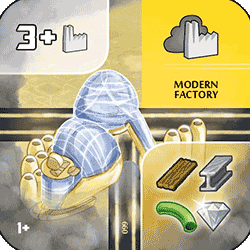 If the Commercial tile that you sacrifice is a Pawn Shop or a Collection Agency, or if the Industrial tile that you sacrifice is one that's obsolete because you already produce that Good in another way (most commonly because you've built a Modern Factory or Modern Foundry), so much the better. 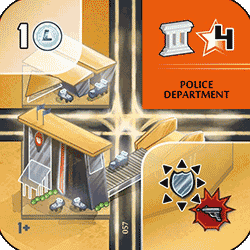 In fact, with proper preparation it's very possible to only lose 1 or 2 VPs from your eventual score when sacrificing tiles to Crime Spree. 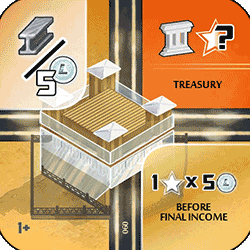 Lastly, if you're pursuing a Treasury strategy you may want to sacrifice tiles even if you'll have to lose a tile of all three types, because the most important thing for your city at that point is just your current money total, and if you can keep that high enough you can win despite losing a Residential, some income, and a Processed Good. Despite all this, if you know that drafting disasters won't be a hit with your group, you could try either allowing them to be sold and discarded or just try replacing them with other tiles from a higher player count, and then and either have them always happen at the end of their respective Generation or just not happen at all. I actually haven't tested those variants, so if you do end up preferring them, or if you come up with another idea, please let me know in the comments! P.S. 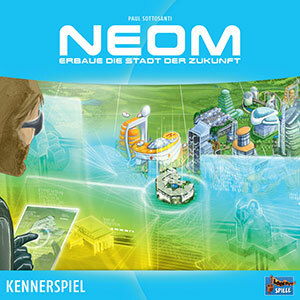 If you're curious to try NEOM, feel free to check out the online prototype, or if you'd just like to read more about it, you can visit the BGG Page.